Cart sharing allows customers as well as visitors to share there current shopping cart through different channels. By default the plugin embeds a little button containing an icon into the cart page. Once a user clicks on the share icon the current cart gets saved to the database and a new panel shows up. Markups generate a version of the current cart that can be shared through different channels. BB-Code can be used to post to discussion forums, HTML code can be embedded on other websites. There is also an option to create a text only version of the cart found under the button that contains an „A“. 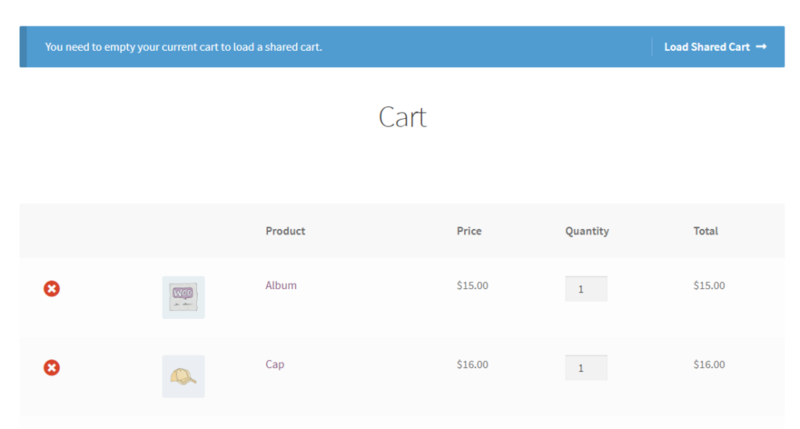 Enables users to share the cart on Facebook, Twitter or Pinterest. 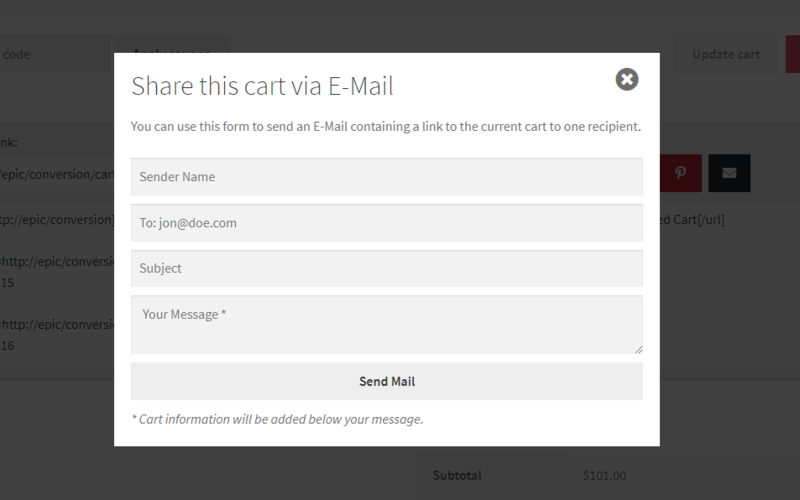 Users can also send the cart directly via email. In the admin settings you find an option which lets you choose between a form or a mailto: link that redirects the user to his preferred mail client. Choosing the mail form enables carts to be shared in a fancy html email containing product pictures, buttons and so on. A mailto: link just includes a link to the cart. 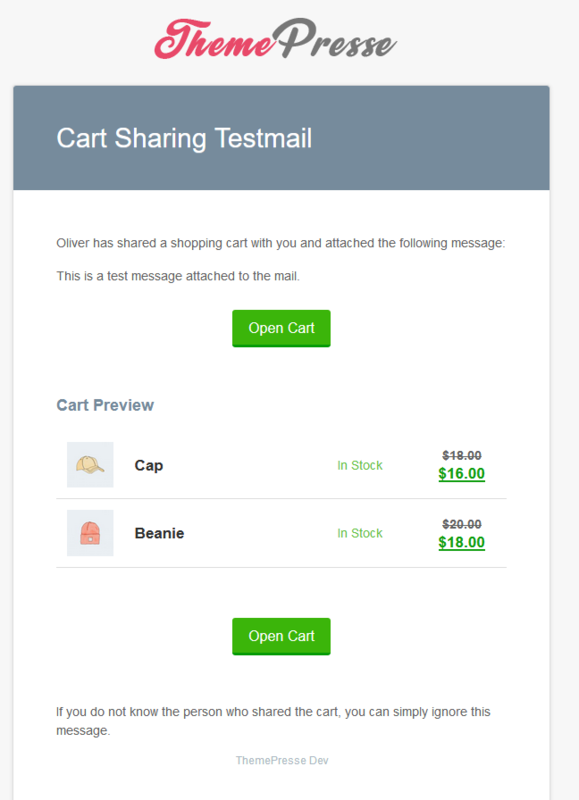 This is an example of a shopping cart shared by email. 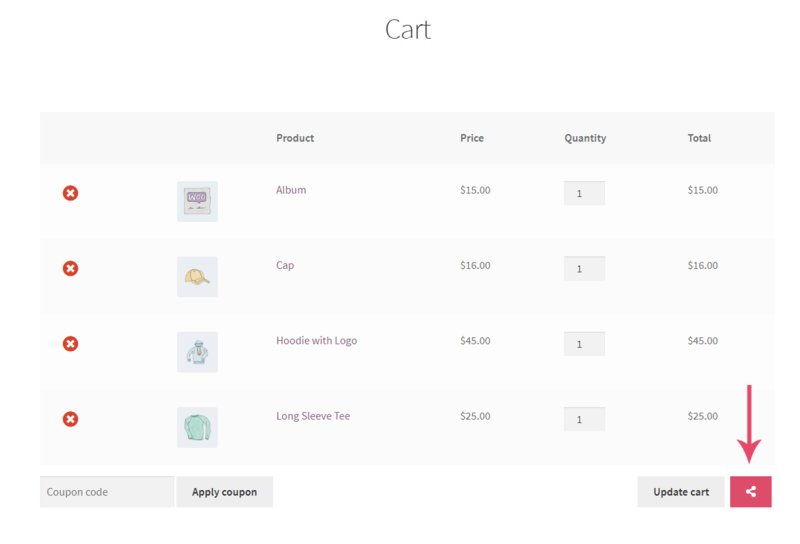 Once a shared cart is restored by a visitor the script first checks if the current user already has items in his cart. If this is not the case the shared cart gets restored, otherwise the user has to confirm the restore of the cart and the deletion of his current card.